Bad news, guys: Susan Schrivjer, the woman who will now forever be known as Florida Mom, isn’t the nutjob we were (admit it) all secretly hoping she’d be, as she proved in quite possibly the most reasonable Fox & Friends interview of all time yesterday. In the interview, Schrivjer said she “appreciated” Breaking Bad star Bryan Cranston’s “good-natured” response to her successful petition to have Breaking Bad action figures removed from the shelves at Toys R Us. Leave it to that loose cannon Jesse Pinkman to come in and ruin everything. The petition Paul linked to currently has 30,166 supporters—over three times the number that signed Schrivjer’s original petition. 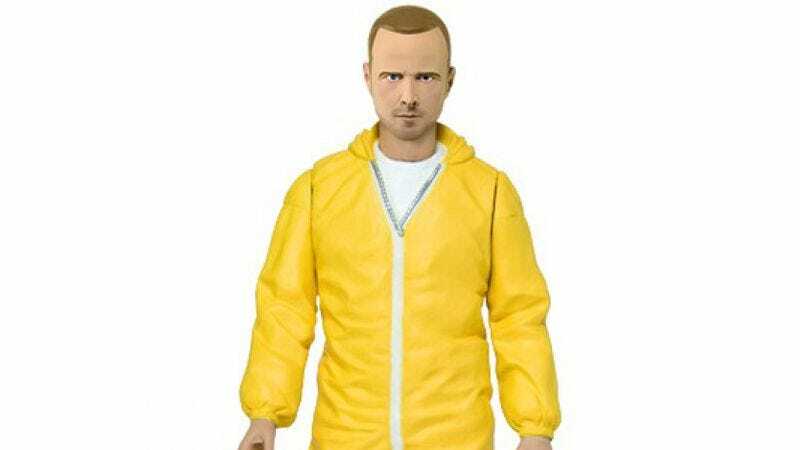 The petition to create a Florida Mom action figure that angry toy collectors can try to melt with lighters or drop from great heights or leave on the floor for their own moms to step on is still forthcoming.